Two books can clink against each other like flints. Tho books from the 1940s produced a spark that has set me thinking about the staleness lurking in contemporary writing. The first is Fictions (1944) a collection of short fictions by Jorge Louis Borges, which collected the splendidly-titled The Garden of Forking Paths (1941) and Artifices (1944). I learn that this book has been hugely influential, and I can see why. It anticipates postmodern themes with breathtaking bravura. The stories are difficult to pigeonhole, they have fantastical, almost SF elements, combined with a playful air of meticulous scholarship. One story A survey of the Works of Herbert Quain, was first published as criticism in a literary magazine. Only later when this piece was republished, was it clear that Herbert Quain is a fictional author invented by Borges. The story Pierre Menard, Author of Quixote, tells us about a fictional French writer in the 1930s who is trying to rewrite Cervantes Don Quixote word for word in his own time. 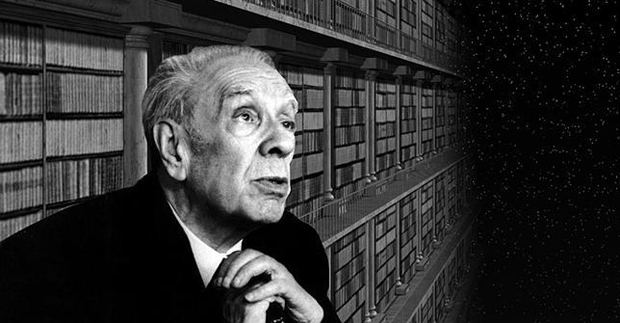 In the story, Borges provides two identical quotes, one attributes to Cervantes the other to Menard and the narrator sets about comparing and contrasting them. Each of the stories in Fictions creates a world, exemplified perhaps by the opening to the story The Library of Babel. I hope I am not being too simplistic in asserting that the stories are metatextual; much of the writing is about writing; the stories are about stories. They offer us a fascinating textual kaleidoscope to peer into with amazement. Second is The World of Perception (1948) by Maurice Merleau-Ponty. 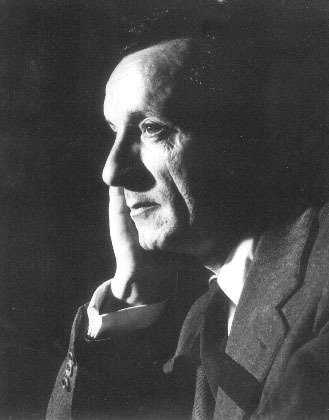 A leading French philosopher of the mid-20th century, Merleau-Ponty was a proponent of phenomenology. In a nutshell, phenomenology asks us to think about how we sense things. Philosophically speaking, a ‘phenomenon’ of a lemon is yellowness, another phenomenon of a lemon is its acidity, another the way its ends appear pointy. Studying how these things appear is called phenomenology. But, as we all know, appearances can be deceptive. The moon may appear to be a crescent when it is new, or a circle when full, two entirely different shapes (or phenomena) that we associate with the same object: the moon. So phenomenology studies how we perceive things, but also looks sometimes at the gulf between our perception and what is out there in the world. Merleau-Ponty cites what was then modern art (frequently Cézanne) as an example of how the artists have set themselves the task of seeing the world for themselves, rather than how it ‘should’ be seen. The philosopher is contrasting this with classically influenced art of the Renaissance, where everything depicted in great detail as if seen perfectly by the eye of God. I like Merleau-Ponty because he asks us to look in an unfiltered way at the unknown territory in our ourselves and the world around us. The challenge is that we have so many expectations about how things should be seen, it takes determination and artistry to see through the encrustation of received opinion and stale ideas to see what is really there. The influence of Borges is strong. Fictions about fictions, Pride and Prejudice and Zombies, fan fictions, the endless juxtaposition of the Aliens and Predators of old thoughts… I find this trope of modern culture a bit tired. 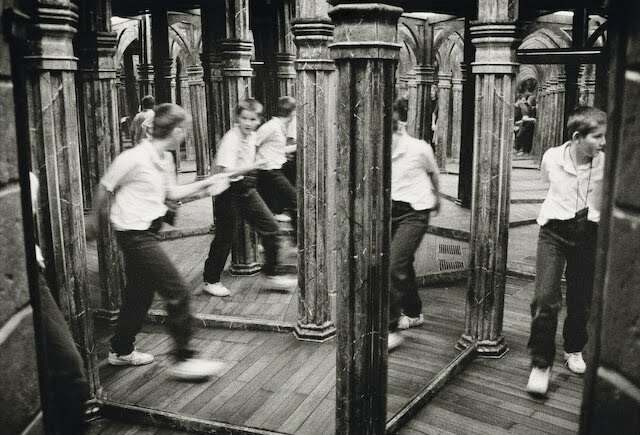 While Borges Fictions itself is a collection of masterpieces, it opened a portal into a hall of mirrors thronging now with people trying to escape again. For while it seemed that there were amazing horizons in there, the reality is that it’s all self-referential claustrophobia. The notion that all the songs these days remind you of other songs, or that all ways of representing the world in painting have been used up and exhausted is defeatist bunk. Books and art forms are part of the world, and can be reflected in art. But for goodness sake, let’s follow Merleau-Ponty, and crack a window to search the world, and ourselves, for something a bit fresher. This entry was posted in Uncategorized and tagged Borges, Fictions, garden of forking paths, hall of mirrors, Jorge Luis Borges, Maurice Merleau-Ponty, Merleau-Ponty, The World of Perception. Bookmark the permalink.